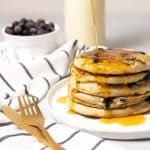 Back with another recipe that you don’t have to turn on the stove for! How much do we love that in the summertime? Considering that we usually spend the hours from 4-7PM on our (shaded) back porch, I love dinners that don’t require me to spend much time inside. Usually that looks like some grilled vegetables, maybe a veggie burger and more fresh fruit then the three of us could ever eat. Effortless dinners are how we summer. These burrito bowls are perfect for nights when you want to cook outdoors. 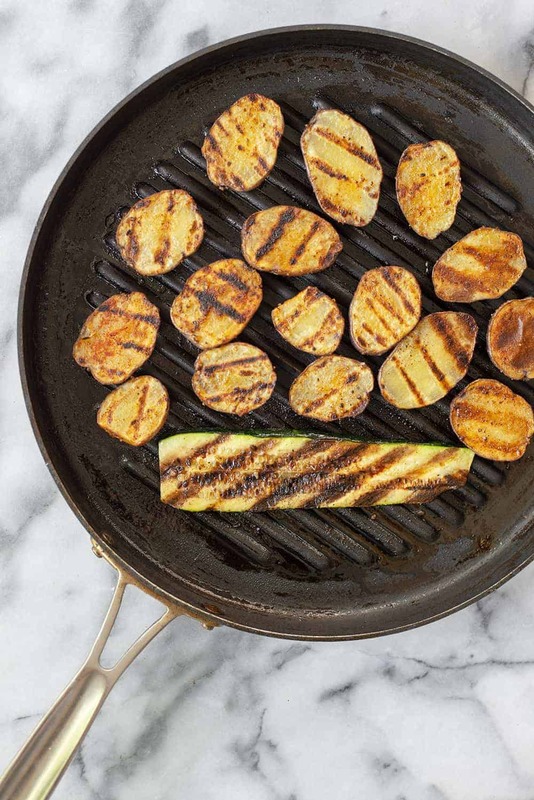 Turn on the grill, throw the seasoned potatoes and zucchini in a grill basket and cook until smoky and tender. 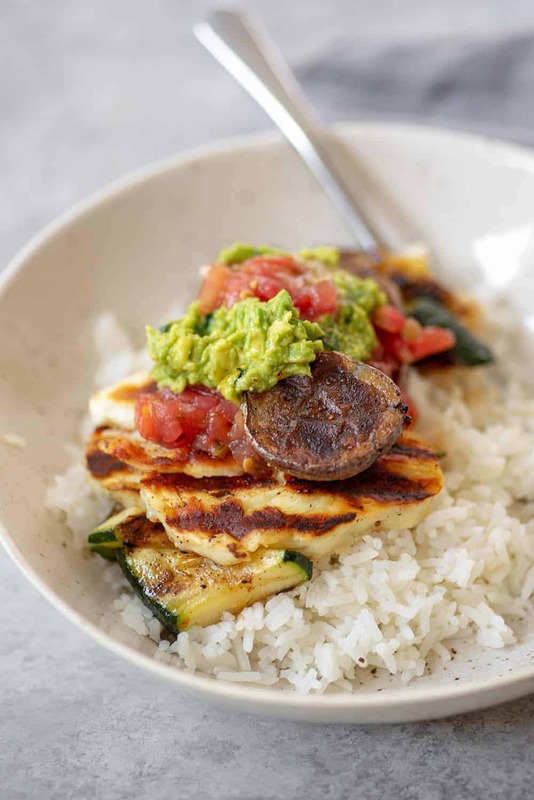 Add some melty grilled halloumi, 2-minute guacamole and purchased pico de gallo and dinner is served. I do serve these on a bed of cooked rice, but you technically don’t have to turn on the oven for that either. I stock up on microwave bags of brown and white rice for this exact reason. Sure, it takes very little prep to cook rice, but who wants to wait 45 minutes for it to be done? The microwave bags are super convenient and help to keep my house cool. Ironically, this comes from someone who didn’t own a microwave in our last two houses. But, now that we do– it’s become an asset for quick-cooking grains. No rice? No problem. Any leftover cooked grain will do, or enjoy this one grain-less. That’s the true beauty of burrito bowls– there are no rules. The star of this recipe are The Little Potato Company’s Something Blue Creamer potatoes. We LOVE these potatoes, the gorgeous blue color pairs well with vibrant summer produce. Something Blue Little Potatoes have great color retention; after cooking them, the beautiful, bold blue/purple color is retained. While these potatoes are delicious in just about any potato recipe, we prefer them roasted or grilled. These bowls are perfectly balanced with good-for-you complex carbohydrates, protein and fat. It’s why my family loves Creamer potatoes so much and eat them at least a few times a week. 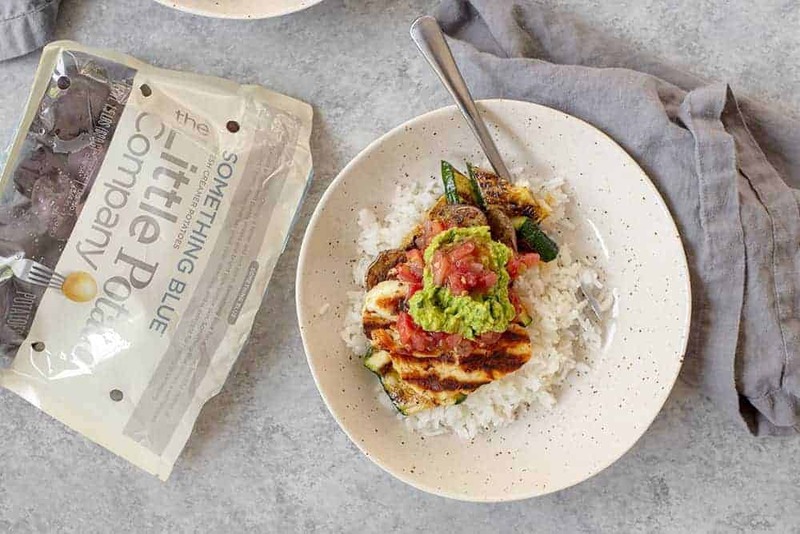 The Something Blue variety is a source of potassium and fiber. Not only do you enjoy the exotic flavor and bold color, these Little Potatoes are a triple threat – serving up nutrition value and satisfying your hungry guests. Have you had halloumi cheese before? I rarely buy it, mostly because I can’t keep my hands off it once it’s in my house! If you like feta/cheese curds then you will love halloumi. Once grilled, it because melty and almost squeaky, perfect for these burrito bowls. It doesn’t taste like much raw, so you’ll want to make sure to grill it before using. 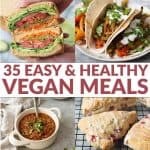 For my dairy-free friends, you can skip the grilled halloumi and add black beans and extra guacamole. The cheese provides lots of body and salty flavor, so you’ll need to substitute with something else. 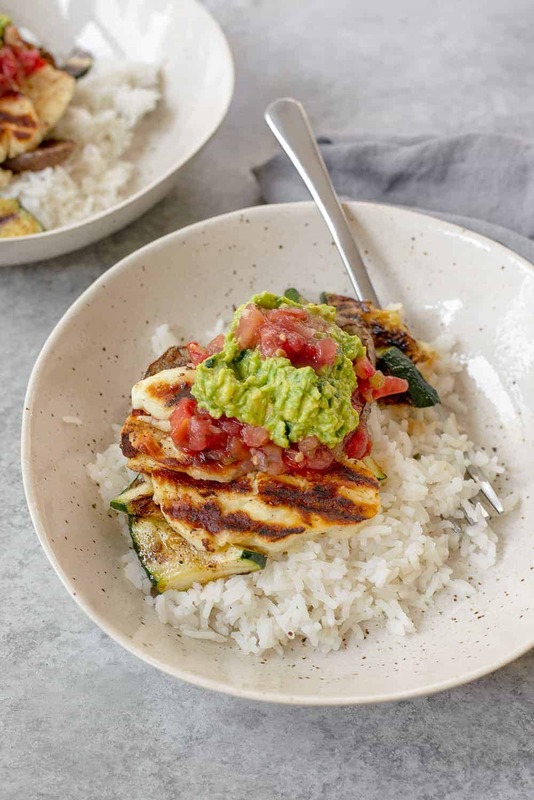 Grilled Potato and Halloumi Burrito Bowl! 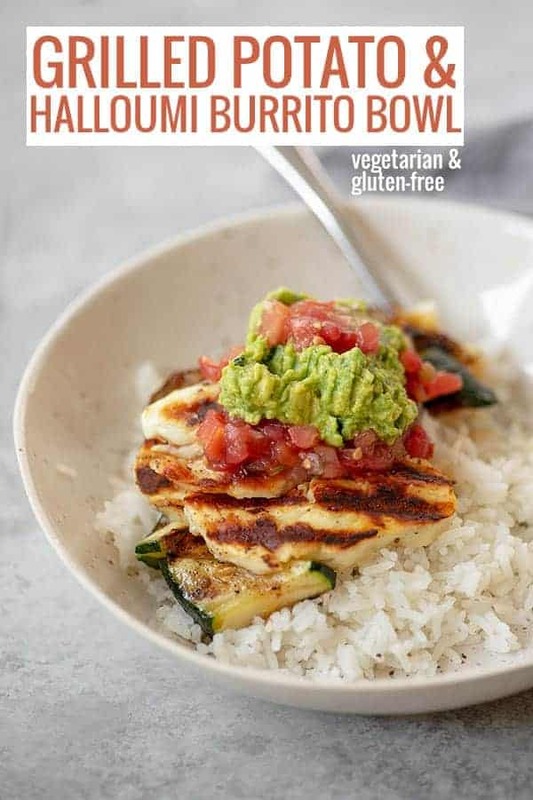 You’ve gotta try these healthy bowls, packed with grilled vegetables, potatoes, halloumi, salsa and guacamole. The perfect gluten-free, vegetarian dinner. Heat a grill pan to medium-high heat. Toss the potatoes and zucchini with olive oil, paprika, cumin and ¼ teaspoon salt. Grill the potatoes and zucchini, turning halfway, until tender and cooked through. While the potatoes are cooking, make the guacamole. Mash together the avocado, cilantro, lime juice and remaining salt. Set aside. When the potatoes and zucchini are done, grill the halloumi for 2-3 times until golden brown and just melted. 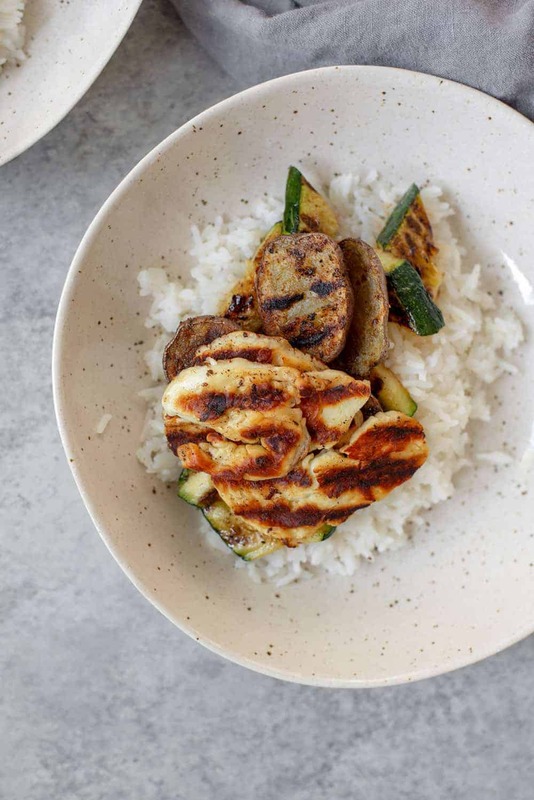 Assemble the bowls: divide the brown rice among 4 bowls, top with grilled potatoes and zucchini, grilled halloumi. Dollop with guacamole and pico de gallo.